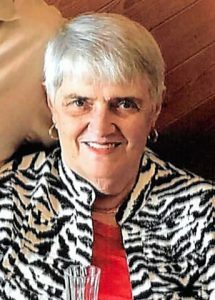 Erika L. Wittrock (nee Loerz, 76, of Woodcliff Lake, NJ, formerly of Blauvelt, NY, passed away on Sunday, December 2, 2018. Beloved wife of Norbert. Devoted mother of Jonny and wife Amy of Chester, NY and Chris and wife Jennifer of Park Ridge, NJ. Adored grandmother of Sebastian, Brandon, Clara, Emma, Charlotte and Brooks. Dearest sister of Gretel Bunz and Walter Loerz and his wife Christl. A Funeral Service will be held Monday 10 AM at Pizzi Funeral Home, 120 Paris Ave, Northvale, NJ (201-767-3050) with interment to follow at Rockland Cemetery. Visiting hours will be Sunday from 4-7 PM. Those who wish may make donations in Erika’s memory to St. Jude’s Children’s Research Hospital, www.stjude.org. Dear Chris, nothing can be said to ease your pain. God bless you and be with you and your beautiful Family during these difficult moments and always. She will forever be missed and remembered. R.I.P. May the love from family and friends provide you with support and strength through the most difficult of times. I will keep you and your family in my thoughts and prayers.